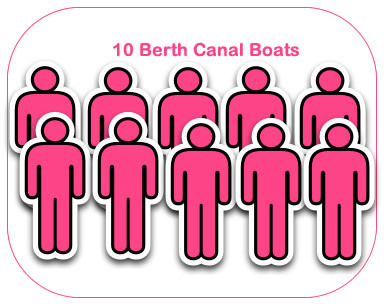 The canal boats vary in length (usually no larger than 72 feet (22m)) according to the number of people they sleep. 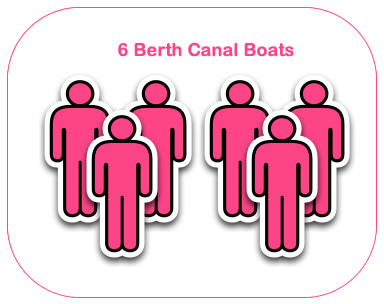 The boats are all designed to navigate the canals of Great Britain and therefore are no more than 7 feet (2.1m wide). 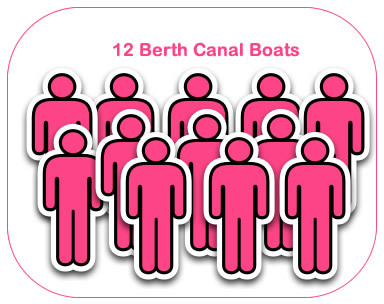 The boats are also sometimes known as narrow boats which refers to the original working boats which used to carry goods on the narrow canals. 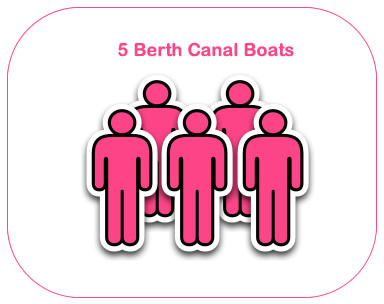 The term narrowboat is now often used to describe boats hired for recreation and a lot of the modern hire boats still incorporate some of the old narrow boat designs but with modern materials. 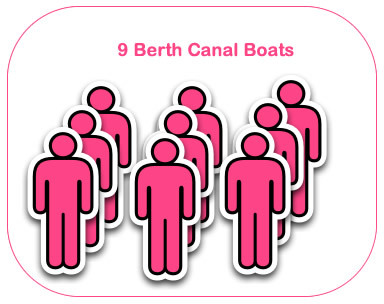 View our boats according to the number of people they can potentially sleep. 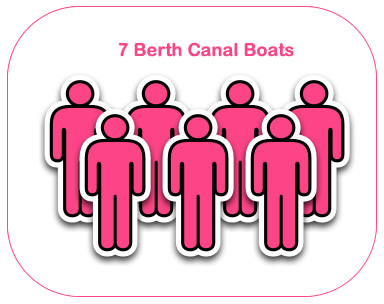 You can always choose a boat bigger than the number of crew you have, but not the other way round. This is due to our insurance restrictions. 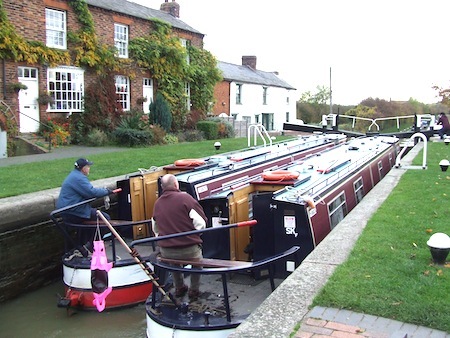 On most narrowboats steering is by a tiller, as it was on all working narrow boats, and the steerer stands at the stern of the boat, aft of where a person emerges from the hatchway and rear doors at the top of the steps up from the cabin. The steering area comes in three basic types, each meeting different needs in terms of maximising internal space; having a more traditional appearance; having a big enough rear deck for everyone to enjoy summer weather or long evenings; or protection for the steerer in bad weather. The three type are traditional stern, cruiser stern and semi-traditional stern. 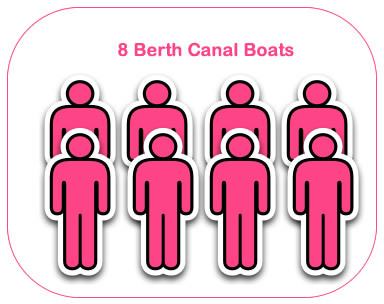 Most of our boats are cruiser stern and some are cruiser stern. 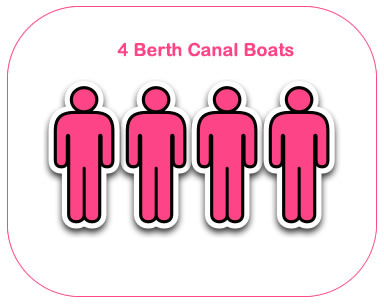 © canal-boating.com - 2019. All rights reserved.